The Peoples Redemption Party (PRP) has confirmed Shehu Sani as its candidate for Kaduna Central senatorial district in the 2019 general election. The chairman, Kaduna State chapter of the party, Tom Maiyashi, disclosed this in a chat with journalists in Kaduna yesterday. 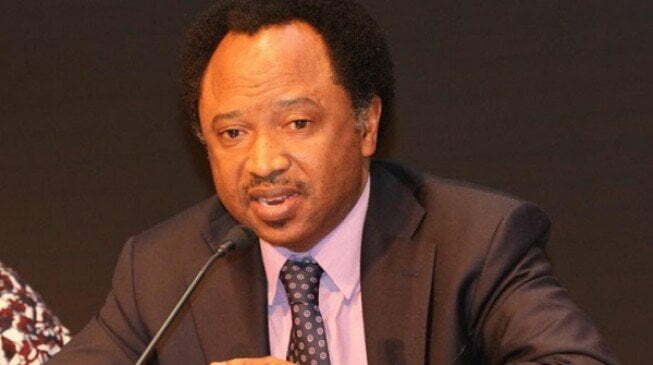 Recall that Senator Sani recently joined PRP from the ruling All Progressives Congress (APC) after a protracted dispute with his former party’s leadership in the state. Maiyaishi, who revealed that Sani had already been registered as a full member of PRP after his defection to the party, said by joining the party, the outspoken senator has only returned home because his ideology matches that of PRP. His words: “I wish to confirm that he is the candidate that will be contesting under our party for Kaduna Central Senatorial district. He has been fully registered at his ward six Tudun Wada ward in Kaduna South local government Area of the state. ‎”Senator Shehu Sani’s ideology has always been that of the PRP, so to us he has just come back home and we are happy he has returned,’” he said. ‎The party chairman also said that before Mr Sani joined the party, someone purchased the party’s nomination form for the senatorial ticket, but on his own decided to step down. The chairman thus indicated the party would write the electoral commission, INEC, to substitute the former candidate’s name with that of Mr Sani. He, therefore, appealed to the electorate to vote for all PRP candidates across the country in the general elections. “As a party, we are committed to providing good governance for Kaduna and other states where we are fielding candidates,” he said. He further explained that the National Chairman of the party, Falalu Bello, will be its governorship candidate in Kaduna State. Mr Maiyashi described Messrs Sani and Bello as people with intellectual capacity to provide good and qualitative governance for the good people of the state.